Download the August Public Education flyer. Wednesdays in the Garden – August 3, 10, 17, and 24 (No program on August 31), 7 to 9 p.m. Arlington Central Library, 1015 N. Quincy St., Arlington 22201. This series, taught by Arlington Food Assistance Center volunteers and VCE Master Gardeners, is designed to teach gardening skills to a wide audience. August 24, Preparing the Garden for Winter, Tool Care. Free. No registration required. To confirm topic and room number, check the Arlington Library Events Calendar at http://library.arlingtonva.us or call the library at 703-228-5990. Burke Branch Library, 4701 Seminary Rd., Alexandria 22304. Join us for a terrific session on fall gardening―what to plant when and simple tips for success. 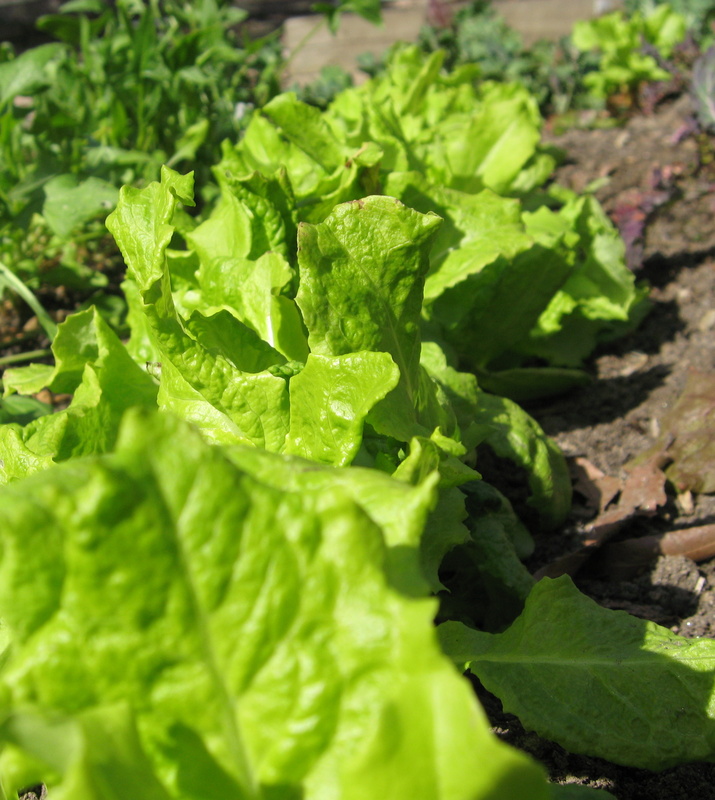 Think healthful greens like kale, collards, bok choy and a wealth of lettuces. Fall is a delightful time to garden, with cool autumn days and waning pest populations. Learn inexpensive techniques to extend your harvest and even how you can enjoy some of your crops in the dead of winter! We’ll also cover end-of-season clean up, putting your garden to bed and tool care to give you a head start for next spring. Advance registration requested. Questions, telephone 703-228-6414 or email mgarlalex@gmail.com. 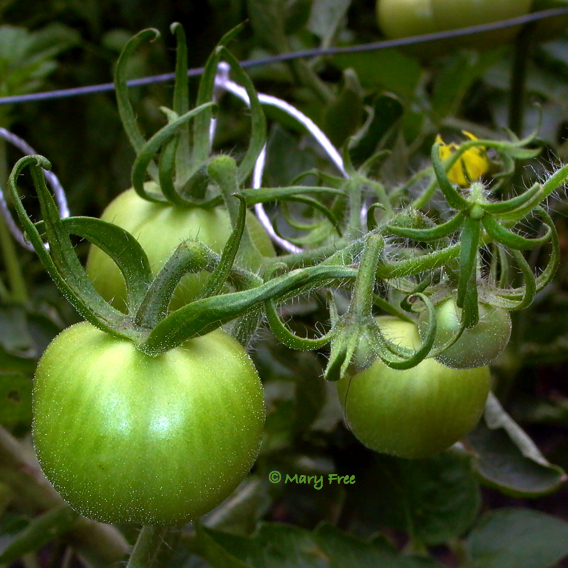 Sunday in the Organic Vegetable Garden, Sunday, August 14, 1 to 4 p.m.
2845 Marcey Rd, Arlington 22207. Moneymake Tomato. Photo: Mary Free. If you have questions about what is ailing your tomato plants or eating your zucchini, stop by the Organic Vegetable Garden to speak with a Master Gardener. The garden is located beyond the Nature Center. No registration necessary. For questions, telephone 703-228-6414 or email mgarlalex@gmail.com. Thomas Jefferson Community Center, 3501 Second St. South, Arlington 22204. “Groovy Since 1977,” the theme of this year’s fair, celebrates the first fair and subsequent fairs that have showcased the best of Arlington. VCE Master Gardeners will provide staffing and judges for the Open Flower Show and the Open Herb, Fruit and Vegetable Competitive Exhibits. Enter your flowers and veg in the competitive events category – in all age groups! Together with members of Arlington Regional Master Naturalists, Master Food and Energy Masters volunteers, VCE Master Gardeners will staff the all-VCE booth on Friday, August 19, from 4 to 10 p.m.; Saturday, August 20, from 10 a.m. to 9 p.m.; and Sunday, August 21, from 11 a.m. to 5 p.m. Master Gardeners will provide information and answer questions about gardening. More information is available at http://arlingtoncountyfair.us/.